Mindfulness is the ability to focus solely on the here and now, by fully engaging in the moment at hand. 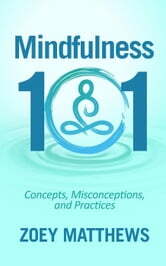 The benefits of mindfulness and learning how to meditate are innumerable; it helps relieve stress, lower blood pressure, reduce chronic pain, treat depression and sleep deprivation, eating disorders, anxiety disorders, OCD and many more. 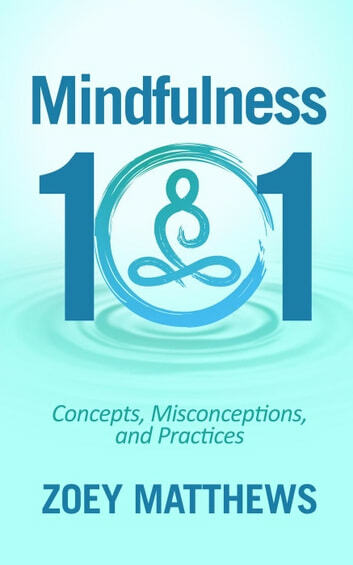 In Mindfulness 101, author Zoey Matthews reveals powerful and proven methods to learn meditation, mindfulness and inner connectivity that anybody can accomplish and use in their daily lives, regardless of age and time constraints. Why mindfulness meditation and relaxation techniques work and how they can be used to treat depression, sexual intimacy problems and just plain make you feel better and have more energy each day. How meditation and inner calm can help people suffering from many maladies, including OCD (obsessive compulsive disorder, high blood pressure, anxiety and depression. Instant Meditation: How to Meditate Instantly! Law of Attraction: The Secrets they didn't want you to know!